As you know for the last three years I have been part of the Schoolhouse Review Crew. The Schoolhouse Review Crew has been such a huge blessing for our family! It enabled me to be part of a team and help out my fellow homeschooolers by providing feedback on valuable homeschool curriculum and resources. Sadly I will not be continuing with the crew next year. Since we are full blown unschoolers now, we are hardly ever home and don't really utilize curriculum anymore. If you have never checked out the Schoolhouse Review Crew reviews you really must. It is the first place you need to visit when you are looking into making a curriculum purchase. With that being said you may still find curriculum reviews on my blog next year they will just not be posted as frequently. Every year the Schoolhouse Review Crew selects their favorite products for the blue ribbon awards. This year a total of 27 Blue Ribbons were handed out to 23 companies! Many of the companies I voted for received a ribbon, but there were a few that didn't. I did a total of 21 reviews for the Schoolhouse Review Crew this year and it is very hard to choose favorites because we loved just about every single one of them! But there were several that my children really benefited from, that we continued utilizing throughout the year and that I would personally spend money on to continue using! 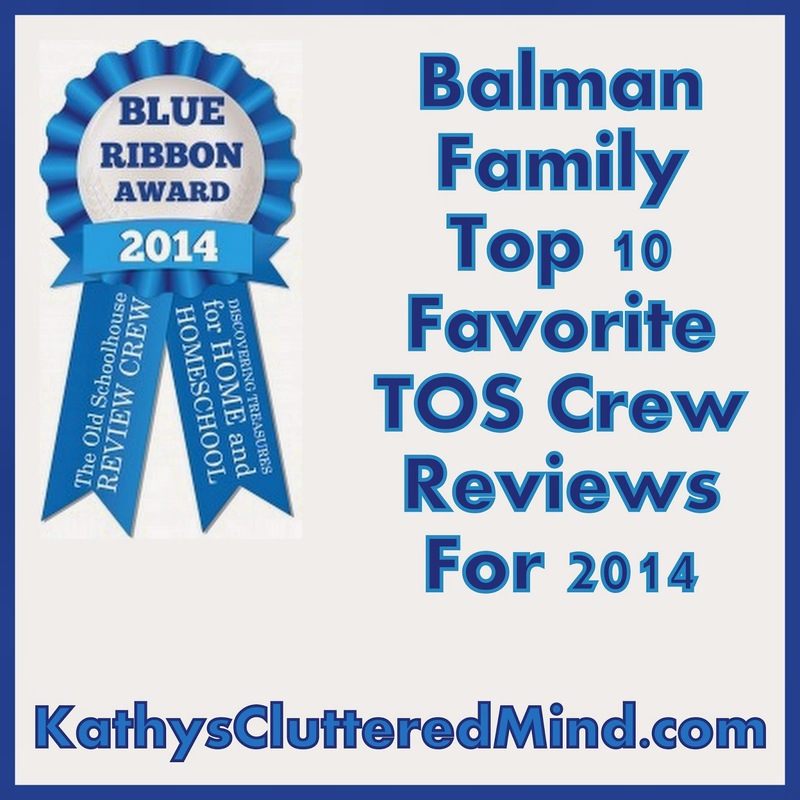 So here are our top 10 absolute favorite reviews for 2014, as well as links to the reviews! 1) Clue in Kids - What child doesn't love treasure hunts? These treasure hunts are fun and educational. 2) Out of the Box Games - Snake Oil Party Potion - A fun and educational game guaranteed to entertain for hours. 3) Standard Deviants Accelerate - This online learning program is tons of fun and interactive. They offer a wide variety of courses for all ages. 4) Under Drakes Flag - Bring history to life with this beautifully done audio drama. 5) Moving Beyond The Page - This has got to be one of my new favorite unit study curriculum's. I love that it is literature based and that they have many different price options available! 6) Hewitt Homeschooling - Take the pain out of writing with these fabulous hands on literature unit studies. 7) Learning Wrap-Ups - These hands on learning tools are great for tactile children. They keep children engaged and make learning fun. 8) Logic Of English - Reading, writing and spelling oh my. Logic of English is a great curriculum for all learning styles and it keeps kids engaged with hands on fun lessons! 9) Golden Prairie Press - A flexible history curriculum that brings history to life through the use of living books and hands on projects. 10) ARTistic Pursuits - This art curriculum is easy to use and incorporates all elements of art. Be sure to check out the winners and other crew favorites (click badge at bottom of the post to view other crew member favorites).